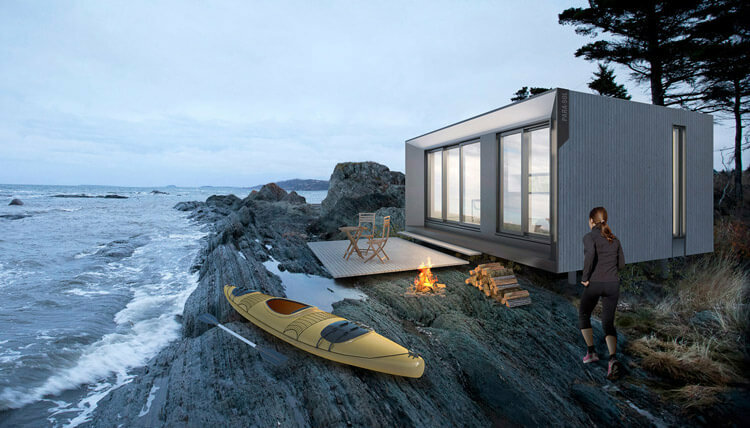 The REFUGE s400 is a shelter concept designed for people looking for a simple, contemplative and functional place for nature retreats. Thanks to a completely fenestrated facade, the cabin has the quality to frame a landscape and to offer spaces bathed in natural light. 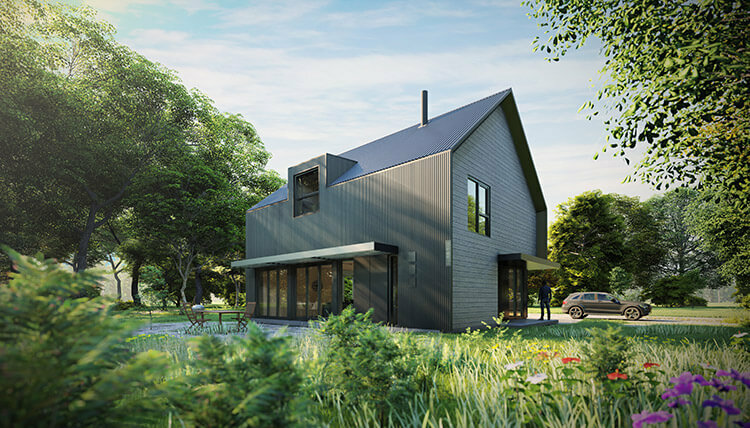 The ECO-HABITAT S1600 is a single-family residence concept designed for people looking for a contemporary house in relation to nature. Thanks to a largely fenestrated ground floor, the living spaces have the quality to extend outwards, on a large terrace surrounded by natural landscape.